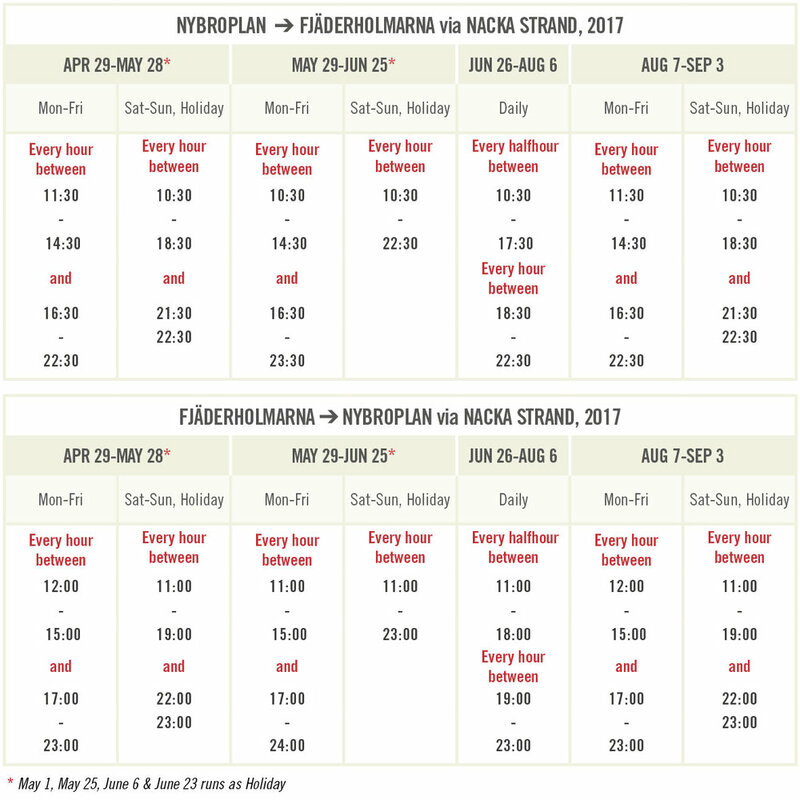 During the period from 29th of April until the 3d of September 2017, Strömma Kanalbolag's ferries runs every day of the week from Nybrokajen. The journey takes about 25 minutes. Strömma Kanalbolag's ferries depart from Kajplats 13 on Nybrokajen and stops at the berth outside Restaurang J in Nacka Strand about fifteen minutes after departure from Nybrokajen and about five minutes after departure from Fjäderholmarna. If you want to get off at Nacka strand, you need to tell the ferry staff on your way from Fjäderholmarna.